Awesome! Tons of bots OTHER people created, free! But how do they get paid? Well if you download, you have to fill out a survey. Doing so gives the uploader around $.50 - $.75 per download. But no, it does NOT cost you a cent! Now to upload, All you have to do is send an E-mail to rxbots@yahoo.com with your bot link attached, and it gets posted on the BETA bots page! So finally, All you have to do to upload is E-mail your file, It's name, Req, a picture of where to start, and within 24 hours it will be posted! To create one, install Mouse Recorder PRO 2 and start making your bots! 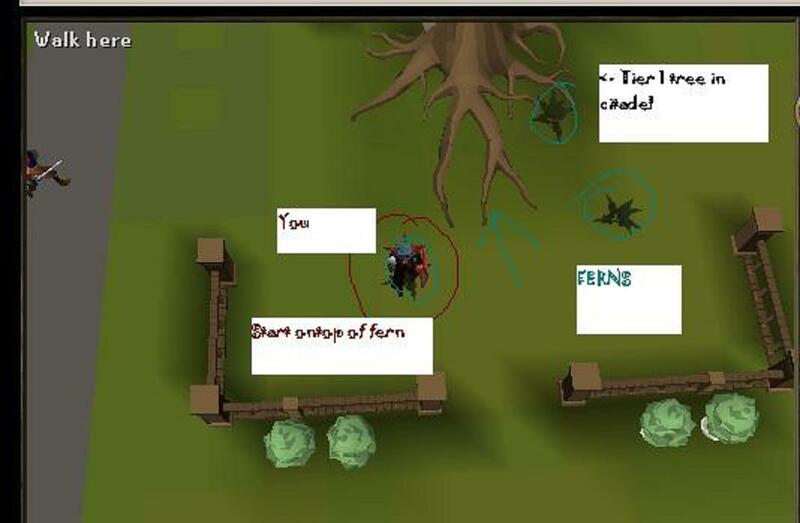 Uploader Description: This bot I made is very simple, just have as many normal logs in the top left corner of your bank as possible and go to the location. It will make you around 150K - Hr, Not to mention 50K Fletching Xp/ Hr, and the arrow shafts can be made into arrows, raising their value. Now Survey-less and 100% free to you! Start location sumarry: Left side of the GE Desk, Near the banker. What it does: Cuts roots in your citadel tree yard, must be using the tier 1 tree. Where to start: Pic below, be in citadel woodcutter area. Prob about 1.7k roots/hr, no antiban, be warned! Starting location: Sorry for small picture.